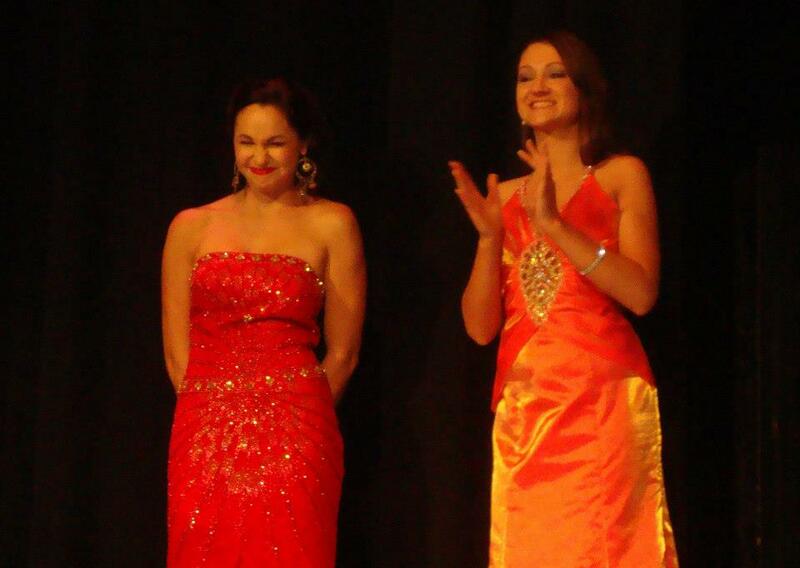 That time has come, and the first pageant of the 2013 Miss America Pageant season has come and gone. Lonna McCary will represent the Thousand Islands next June at the Miss New York Pageant, with hopes of representing New York and the Miss America Pageant in the following January! The day began with interviews, which I thought I did really well on. I had a well prepared answer for every question, and despite stumbling over a few words, I think I gave very strong answers,. I didn’t give an elaborate introduction, just my name and contestant number. Looking back, I should have said a few more words. I really feel I showed the judges why I was a great choice to represent the islands. I misunderstood when the head judge asked me for my closing statement. I wasn’t nearly as strong as I would have liked, which is why a stronger introduction would have been beneficial. After a morning of rehearsals, we had lunch on the riverfront. The bees were very attracted to us! Or maybe it was the pageant girls’ diet of glitter water and fresh fruit. They just did not want to leave us alone! The seven of us, as well as our entourage of amazing helpers, still managed to have a great lunch of Jreck subs and an assortment of fruit. I probably ate an entire segment of strawberries myself. They were delicious. More rehearsals. We learned the Opening Number routine, and went through talents, and the walking patterns for swimsuit and evening wear. The stage was tilted, but it was nearly as slanted as I thought it was going to be! I still couldn’t pull off a French Twist on the decline though, which bummed be out, because I can rock it on a straightaway. Soon it was dinner time. We had pizza across the street from the Clayton Opera House. Lauren, Chelsea and I shared a table with a very mature and smart girl, I believe she was Sara (I should have paid more attention). She was one of the Miss Thousand Island Star Princesses. She was so bright, and if I didn’t know she was a tween, I would have thought we were having a conversation with another Miss contestant. After more pictures on the riverfront (I would have posted them, but I ruined all of them) it was time for dress rehearsals. Yes, Chelsea and I had the same dress. At first I was upset, as it was terribly difficult to find a red dress to begin with, but after seeing us both wearing it, I was fine with it. Our bodies are so different, it looked very different on us, and we both rocked it in our own ways. When the show started, the ladies came out to Glad You Came by the Wanted. Despite a random music mishap (which never happened in rehearsal) that Allison was able to gain control over, we never broke a sweat. I assumed the role of the President, as I stated “Join me this presidential election as I pass the Employment Non-Discrimination Act”, instead of “we”, but besides that minor blunder, opening number went very well. There aren’t any worthy pictures at this point, as my mom still lacks camera skills. I was very confident in Lifestyle and Fitness. I used an entire can of Sally Hansen Spray Legs, but my tattoos were covered and I didn’t look like I was punched in the ribs. Plus, the darker tone on my stomach really highlighted the abs that I’ve been working so hard to develop. We struct our stuff to a song called Miss America, fittingly so, by a miscellaneous unknown artist. It was definitely my best talent performance. I did Beautiful, Beautiful again, by Francesca Battistelli. I found a balance between walking around the stake, and standing like a tree, as well as when to smile and when to just show emotion. The emcee didn’t butcher the last name either, which is always a plus. My dress was a bit too short though, which is strange since I am shrinking and it used to fit me with heels. I had to wear my gladiator sandal wedges, which are super comfortable, but required time consuming a shoe change. 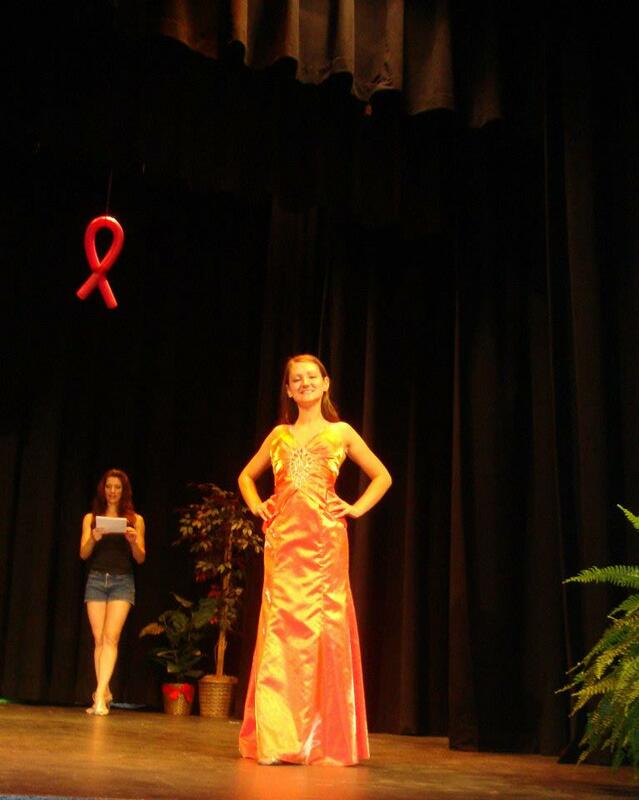 The evening gown I wore was actually in our sale pile, but surprising ended up looking good. I was supposed to wear a very pageanty black dress, with silver breading around the chest, but it was too short. My mother was supposed to alter it, but it was just too short to even get it to look decent. The orange dress was a last resort, but ended up being very nice. Walking to the Glee version of Fly/I Believe I Can Fly, there was a nice turn, and a pivot to really showcase the dress. My problem was my hair. I wore it straight for the first portion, then when I tried to curl it for evening gown, it not only wouldn’t curl, but turned into a mess. I was sweating, and it just looked terrible. I’ve gotta work on my posing. That Bell chin is my nemesis! Onstage Question, which is usually a weakness of mine, was probably my strongest portion of the night. I was asked about the importance of college. I was able to pull in personal experiences, as well as show tribute to the military (as Fort Drum is a hop skip and a jump away), and express a truthful opinion of how society makes people think everyone needs college, when actually the military, trade schools, and apprenticeships are perfectly viable options. In fact, that’s almost exactly what I said. Seven girls competed for one crown, but other awards were given out as well. The Community Service Award was given to Ashley Loggins. The Best Interview as well as Miracle Maker (most money raised for CMN) was given to Chelsea Brumagen. Miss Congeniality was given to Amy Hayes. And Best Talent was given to Lonna McCary. There may have been a tie. As the two hosts tried to get the results, they were told to stretch, resulting in a random joke-off. I even shared a joke I saw online last week. The chicken. I told you so. If the tie was between Lonna and Chelsea, it makes sense that Lonna won, as Talent holds more rank than Interview. But it could have been between two other girls as well. Either way, we all left winners. We all grew as young ladies, and we will all be stronger at our next pageant, whether is is Miss Finger Lakes, Miss Empire Rose/Star, or even if it isn’t until Miss Greater Rochester/Upstate. You don’t need a crown and gown to make a difference. Just a lot of heart, and the desire to make a difference.